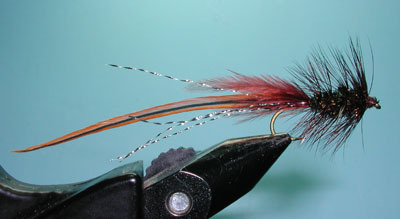 Jeff Cole of San Diego showed me this fly in May 2004 while at Alper's Ranch on the Upper Owens River. He's been tying this fly for about 20 years. 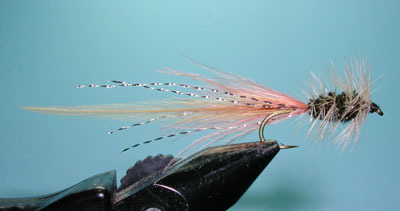 The action on the fly resembles a baitfish and the trout found it irresistible. Jeff would dangle it along the undercuts and Browns would dart out to grab it. 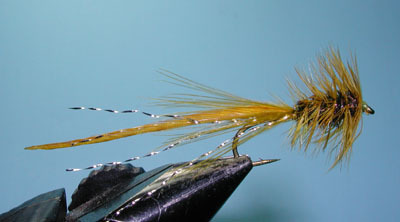 I suspect that this fly would also be effective as a warmwater fly for Bass and Sacramento Perch.